Library cards are issued free of charge to residents of Massachusetts. Current photo identification and proof of address will be required for all new registrations. Norton Public Library cards are individual cards, not family cards, and are, therefore, not transferable. Children (age 5 -17) must have a parent or legal guardian with them in order to obtain a card. A Norton Public Library card may be used to borrow from other SAILS Library Network libraries. If a card is lost or stolen, notify the Library's Circulation Department immediately to prevent unauthorized borrowing. Lost cards are replaced at a charge of $2.00. 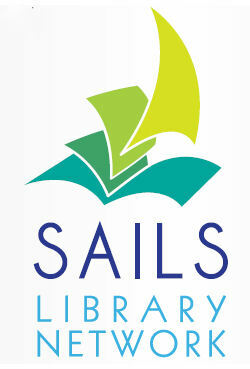 Non-Massachusetts residents may register for a SAILS library card for a fee of $55, per year per family. Temporary residents such as Students or Visitors may also get library cards. Temporary resident cards will have restrictions. By signing the registration form and receiving the library card, the patron is agreeing to obey all its rules, to take good care of all materials borrowed, to pay all fines or damages accrued, and to give prompt notice of change in address, telephone number, or email address. The Norton Public Library will not issue library cards within 15 minutes of closing time. Can't get to the library right now? Register for a temporary library card. Checkout and download Overdrive ebooks, audiobooks & music. *You have 3 weeks to come to the library with identification to pick up your card.